Wow—how did we get here?! Not only another year gone, but … 50 Years Ago this Month!! 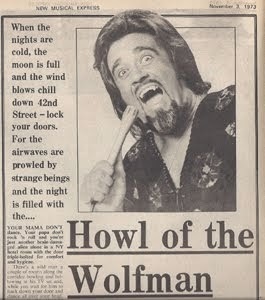 Searching for December 1966 radio and music news and views, turned up a rather placid time in Rock Radio. The top five songs on KFRC/San Francisco’s “Big 30” (12/14/66) for example, glorified and vilified love—nothing new there. Hearts on a string, we were singing along with the top three pop tunes: 1) “I’m a Believer” (Monkees); 2) “Winchester Cathedral” (New Vaudeville Band); and 3) “Tell It Like It Is” (Aaron Neville). 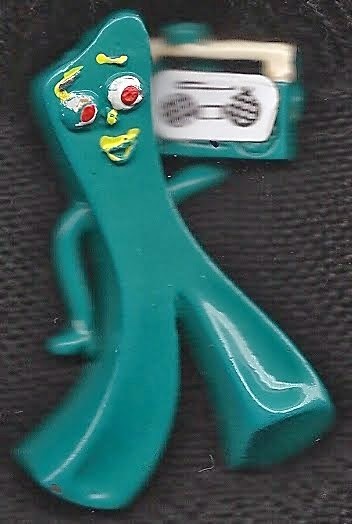 A-vo-dee-oh-doe!! This month, we add ten years to our 50 Years Ago this Month writings to venerate Mr. Freed. 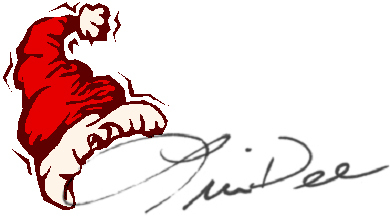 We owe our fifty years-plus-ten mantra to the man who first thundered, “Let’s Rock & Roll!!”? 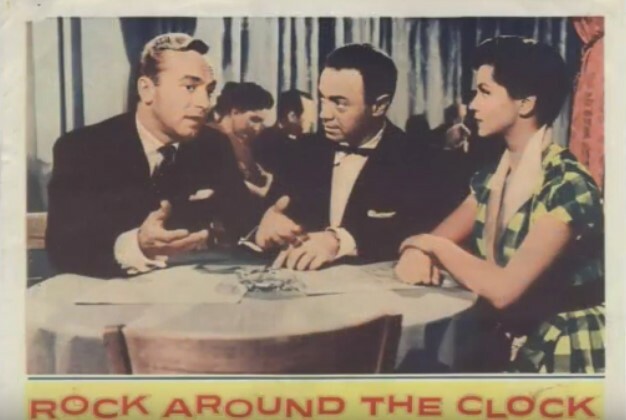 1955’s Blackboard Jungle film, which featured Bill Haley & His Comets’ “Rock Around the Clock, inspired tons of teens to dance in the theater aisles. Hot off its success, Mr. 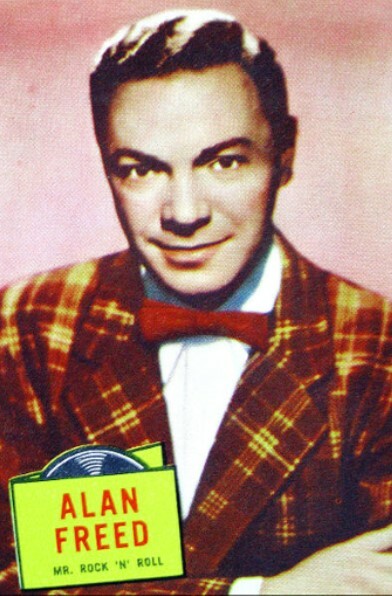 Freed appeared in two iconic Rock & Roll films the following year, Rock Around the Clock (March), and Rock, Rock, Rock (December). As it’s said on Wiki, “In the 1956 film Rock, Rock, Rock, Freed tells the audience that ‘Rock and Roll is a river of music that has absorbed many streams: rhythm and blues, jazz, rag time, cowboy songs, country songs, folk songs. All have contributed to the big beat.’"
And the beat goes on* … Thank you, Mr. Freed. 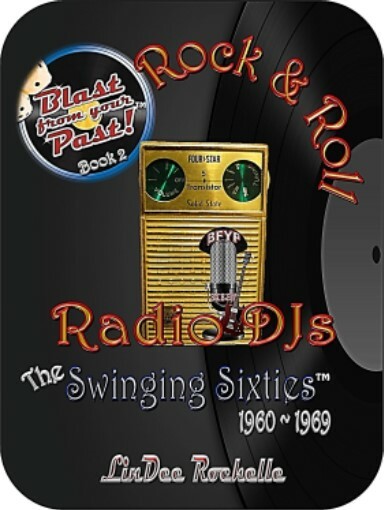 Celebrate DECEMBER 50 Years Ago … and Rock On! * Sonny and Cher hit the January 1967 charts with “The Beat Goes On.” See ya 50 Years Ago 2017! 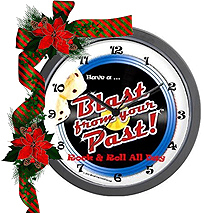 Grab some Old "Time" Rock & Roll for yourself and your Rockin' friends on Santa's list, at Blast from Your Past Gifts! Fun stuff for everyone ... Rock On!